Sarah has always had a keen interest in the property industry and applies her real estate passion, combined with strong organisation skills to support the Harcourts Cooper and Co Albany team. With 20 years in the architectural, design and residential industry - as a business owner with substantial experience in sales and marketing, my reputation and success have always been built on repeat business, outstanding results for my clients and an exceptional level of service. Integrity and honesty have always been a corner-stone of my personal and business life. Whether selling or purchasing property, it will most likely be one of the biggest financial decisions you will make in your life and it can be hard to work out just what is the right approach to take. I like to make things simple for my clients, I listen, I list and I sell. This simple formula plus open communication with you, guarantees success. Gary and Lucy Douglas are a proven, credible Real Estate team. Working to their individual strengths they have amassed 22 and 19 years respectively in the industry and are an asset to the Albany Harcourt’s sales team. Specialising in Rural/ lifestyle and residential property including subdivisions and project marketing. As a team, Gary and Lucy have experience and knowledge on their side. A former builder and private investigator, Gary’s longevity in the real estate industry is reflective of his astute negotiating skills and innate understanding of property fundamentals. 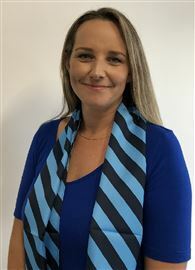 Lucy has her branch manager qualifications having attained AREINZ status and previously worked in sales in Australia and property management in the UK. Clients choosing to work with Gary and Lucy are assured of committed, passionate, and market-leading real estate service delivered with honesty and transparency. Adept at relating to people from all walks of life, Gary and Lucy's easy manner and good sense of humour underpin their tailored and highly effective marketing campaigns. With a strong network of potential buyers, sharp negotiating abilities and great client communication they will work tirelessly from the first point of contact to settlement and beyond. Gary and Lucy live in the Albany village surrounds where they are actively involved with their community and its business owners. They also have a lifestyle block in Redvale running 100 sheep where Gary likes to spend his spare time tending to large vegetable and flower gardens. Both Gary and Lucy love to travel when they have the time and to catch up with family here and overseas. In 2007, Hattie and her husband come from Shanghai to NZ. They had two lovely boys Jerry (6) and Chris (3). Before she became a property consultant, she sent 5 years working in HR service at an international company. Hattie holds a bachelors degree of business and postgraduate degree of HR from Massey University. She participates in the Real Estate industry with 100% enthusiasm and deems property consultant as her future career. Hattie‘s greatest wish is to find the most suitable home for every client. Hattie believes as a Real Estate consultant, integrity, honesty and trust are key. Keeping a good relationship with every client and providing professional advice are Hattie’s goals. Call Hattie today for your Real Estate enquiries and experience, a heart to heart service with a difference. "What do we live for, if not to make life less difficult for each other?" - George Eliot. Having had a long involvement in teaching, I strongly believe in the above statement. Today, working in Real Estate it is my responsibility and pleasure to help you to overcome any obstacles that you may face when you are looking to buy and sell in the property market. Along with a passion and an enthusiasm for what I do, I also have the determination and commitment to help you achieve all the goals that you have set up for yourself in Real Estate. I trust you will allow me to work with you and help you to empower your personal property portfolio. Jacqui comes highly recommended as a Real Estate Consultant who is committed to delivering an Exceptional Experience across all aspects of your property transaction. She is a vibrant personality who applies a dedicated end to end approach for all her vendors. Jacqui has an in-depth knowledge of the lifestyle market in Coatesville-Dairy Flat-Silverdale and surrounds but is equally at home in a residential setting. This coupled with her dedicated and detailed approach to accentuate the unique selling points for each property allows her to consistently deliver strong results for her vendors. Key to Jacqui’s success is her understanding of the need for an exceptional Agent-Vendor relationship which she dedicates herself to via open and regular communications. She also knows that without a strong duty of care to her buyers – the essential property match will not happen. Her eye for detail, creative skill to position your property in the market with maximum effect, capacity to think outside the square and resource contacts offers a “value-add” which vendors and buyers alike attest to. Prior to commencing her Real Estate career, Jacqui had a highly successful 18 years in the Global Investment Banking arena in a number of key roles, which brings a valuable layer to her business. From this experience and together with her passion and understanding for property, she is able to work successfully with a wide cross section of people – negotiate with skill & patience to achieve that critical matching of “People to Properties”. Jacqui is an enthusiastic Coatesville resident who has played a strong role in the local community and resides with her family on a lifestyle property. Jacqui very much looks forward to having the opportunity to work together with you "The Key to your next Move". Jim has been in business and has been buying and selling property for the past 35 years. Experience that has honed his skills and earned him a reputation for getting things done. Being a true canny Scotsman, Jim is able to deliver a professional service to sellers and buyers in a time-effective and cost-effective way; he doesn't believe in wasting time or money - yours or his own. 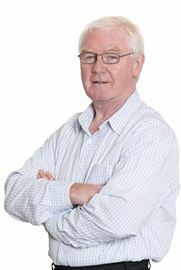 Good listening skills means Jim will get your requirements absolutely spot on, and will do his very best to meet them. Jim lives locally on a sizeable lifestyle property and has a good understanding of lifestyle living in NZ: rearing livestock, growing fruit and veg, and breeding pedigree schnauzer dogs - a passion of his for the past 20 years. If your planning to sell your property, or if you're thinking of buying a property, why not contact Jim to discuss the best way forward. Honesty and integrity assured. I present a strong sense of responsibility, with a sensitive insight and understanding of my client's needs in relationship to the Real Estate market. I am always willing to work hard and to achieve outstanding results. Born in North China, I came to New Zealand in 2008 and continued my role in the hospitality industry where service was paramount to all aspects of my life and career. Being based on the North Shore for the past 10 years with my family has enabled me to establish an extensive Bi Cultural network, being fluent in both English and Mandarin. I pride myself on being a personable, reliable, honest and enthusiastic member of Harcourts Cooper & Co. If you are looking at selling or buying Real Estate on the North Shore please give me a call, I look forward to working together to achieve great opportunities for you in the future. A motivated and dedicated salesperson, to provide our clients with the best possible price, while ensuring every transaction is a win-win for both the seller and the buyer. I'm committed to providing thorough market analysis and research, and ensuring open and honest feedback is given throughout the sales process. Having lived in New Zealand for the past 18 years and speaking fluent English and Chinese, this gives me the ability to communicate between cultures, target a larger audience of buyers for your property, and keep the clients well informed throughout the entire sales process. I am looking forward to the opportunity of helping you with your real estate needs. Expect Excellence A local resident for many years, experiencing in real estate over 15 years, and a family man, being active all over the North Shore, Jonathan's vast experience ensures he is adept at marketing the full range of properties, from development sites to multi-million dollar homes. As one of the North Shore's most sought after Real Estate agents, Jonathan Zhang is the perfect choice for outstanding results. He is fluent in both the Chinese and European market. He combines a friendly and considerate manner with a rich knowledge of the local area and has the unique ability to adapt to any situation. Jonathan’s boundless energy, persistence and finely tuned negotiation skills have resulted in a string of outstanding achievements. Jonathan has built up a team, who also follow his dedication to service & excellence. Hattie Wang & Sammi Liang are proving to be the team to work for you. If you would like to experience the depth of their client commitment or find out the market value of your home, call him direct on 0800 369 518 or 0275 443 098 for a no obligation, free and confidential discussion about your real estate needs. Recent achievements: •	Top 18 Sales Awards of Harcourts NS 2016—2017. •	Top 11 Sales Awards of Harcourts NS 2015—2016. •	Top 19 Sales Awards of Harcourts NS 2014—2015. •	Top 11 Sales Awards of Harcourts NS 2013—2014. •	Top 16 Sales Awards of Harcourts NS 2012---2013. •	Top 18 Sales Awards of Harcourts NS 2011—2012. •	No. 15 Sales Awards of Harcourts NR Q3 of 2016. •	No. 16 Sales Awards of Harcourts NR Q3 of 2015. •	No. 1 Rural Awards of Harcourts NR Q3 of 2013. •	No. 11 Sales Awards of Harcourts NR Q3 of 2013. •	No. 11 Sales Awards of Harcourts NR Q2 of 2012. Having been in the real estate industry for over 10 years, we have helped and connected with people from all walks of life. We understand that everyone’s needs and desires in buying and selling their homes are different and we always strive to get the best possible result for our clients. Over the past decade we have built up a reputation for our straightforward, honest approach to buying and selling – you won’t find any smooth-talking or sugar-coating here! We pride ourselves in our commitment to our clients, and firmly believe in communicating and involving them in every step of the process. Our solid work ethic and consequent successes have garnered us awards including Top Salesperson for New Zealand with our previous brand and now, looking for bigger challenges we have made the move up to Harcourts Albany. So if you have been considering selling or buying a home, please don’t hesitate to contact a team that has the experience, the skills, and the passion. Call Jong and Sue Kim and get them working for you today. Juby has proven herself within the real estate industry to be a honest, hard working person with high morals and dedicated to serving her clients with care and consideration. Having lived in North Shore for over 12 years, Juby is deeply in love with the unique lifestyle on the shore, and has clear understanding of the local real estate market. Juby is fluent in English, Cantonese, and Mandarin. With her multicultural background and multilingual skills, she is able to communicate efficiently with clients of different cultural backgrounds. She comes highly recommended from her many satisfied clients.Juby has proven herself within the real estate industry to be a honest, hard working person with high morals and dedicated to serving her clients with care and consideration. Having lived in North Shore for over 12 years, Juby is deeply in love with the unique lifestyle on the shore, and has clear understanding of the local real estate market. Juby is fluent in English, Cantonese, and Mandarin. With her multicultural background and multilingual skills, she is able to communicate efficiently with clients of different cultural backgrounds. She comes highly recommended from her many satisfied clients. “I take great pride in putting your interests first” Li Wang is your local dedicated sales professional at Harcourts Albany. 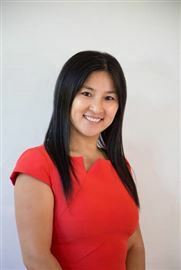 Li Wang has proven herself within the real estate industry to be a honest, hard working person with high morals and dedicated to serving her clients with care and consideration. Part of the Jonathan Zhang Team, Li Wang is an enthusiastic, self-motivated, and diligent individual who is dedicated to continuously deliver the best professional real estate service to you. Li Wang loves the multicultural North Shore community, being fluent in Chinese and English languages means she communicates effectively with a diverse audience, enabling clients to reach a larger target market and achieve exceptional results. 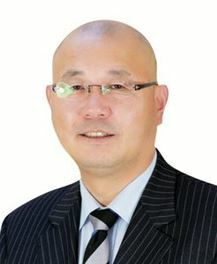 Li Wang graduated university with two Master’s degree in International Business and Logistics and Operation Management. This level of academic achievement equipped her with sharp business acumen and taught exceptional levels of professionalism, all of which she applies to her real estate career. Having lived in North Shore for over 7 years, Li Wang is deeply in love with the unique lifestyle on the shore, and has clear understanding of the local real estate market. A friendly nature and hardworking attitude makes Li Wang a great salesperson to work with. If you are interested in buying or selling property then get in touch with her today, she would love to hear from you. Gary and Lucy Douglas are a proven, credible Real Estate team. Working to their individual strengths they have amassed 22 and 19 years respectively in the industry and are an asset to the Albany Harcourt’s sales team. Specialising in Rural/ lifestyle and residential property including subdivisions and project marketing. As a team, they have experience and knowledge on their side. A former builder and private investigator, Gary’s longevity in the real estate industry is reflective of his astute negotiating skills and innate understanding of property fundamentals. 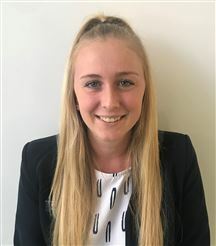 Lucy has her branch manager qualifications having attained AREINZ status and previously worked in sales in Australia and property management in the UK. 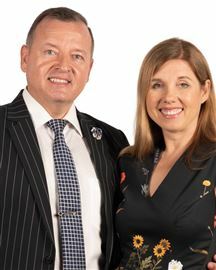 Clients choosing to work with Lucy and Gary are assured of committed, passionate, and market-leading real estate service delivered with honesty and transparency. 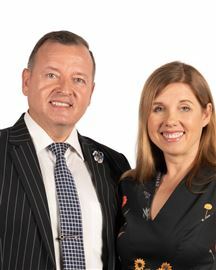 Adept at relating to people from all walks of life, Gary and Lucy easy manner and good sense of humour underpin their tailored and highly effective marketing campaigns. With a strong network of potential buyers, sharp negotiating abilities and great client communication they will work tirelessly from the first point of contact to settlement and beyond. They live in the Albany village surrounds where they are actively involved with their community and its business owners. They also have a lifestyle block in Redvale running 100 sheep where Gary likes to spend his spare time tending to large vegetable and flower gardens. Both Gary and Lucy love to travel when they have the time and to catch up with family here and overseas. Specialising in North Shore property market for over 12 years, we have established a proven track record of achieving standout results. We believe that real estate is not just about the business of selling a property but rather about the business of relating to people. We view every sale as a strategic business transaction and the most important part of that transaction is connecting to everyone involved and alleviating concerns. One of the measures of our success is the number of people who, having bought from us originally – return to us when want to sell their home or something from their existing portfolio and recommend us to their friends and neighbours. We take the time to meet with each client at length to develop a customized, comprehensive plan to obtain their objectives. Our expertise is understanding the market and how best to position a property for maximum value by bringing the potential of every home to the forefront. Towards this end we have assembled a trusted, reliable team of contractors, designers, and other industry professionals to implement my strategies for every property. If you’re serious about selling your home, we are serious about getting the job done. WHO YOU WORK WITH MAKES THE DIFFERENCE. If you are ready to buy or sell a property, my role as your agent is to share my knowledge of the industry. With some 20 years plus experience selling lifestyle/residential properties, I have gained a reputation as being honest, hardworking and dependable with a positive disposition. I am an excellent negotiator and feel proud in achieving a result satisfactory to both parties. You can have confidence in my abilities as I have sold over $100 million worth of real estate. Become another satisfied client by tapping into my knowledge. Call me today to see how we can get you moving. Arriving from China over 10 years ago, Richard has a strong background in finance, management and marketing, Having been involved in the sales and marketing world and managing a team of over 30 people himself, he is dedicated and professional, and his ability to speak English and Mandarin allows him to communicate effectively with a wide range of nationalities in New Zealand. 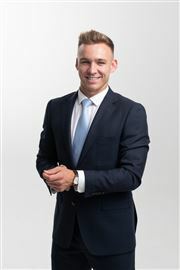 “My true passion in life is to see people happy at the successful conclusion of their property transaction.” For one of the hardest working, most reliable and passionate agents you’ll ever meet---- Call Richard now!! With many years of sales and marketing experience, Sammi will help you find your dream house with her combined buying and selling expertise and knowledge. Sammi understands that a house is not just a house, it is your dream home, it is your investment, it is your life goal. 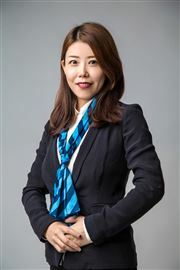 With her ability of speaking fluent English, Mandarin and Cantonese, Sammi has strong community connection, the empathy and confidence needed to deal with people from different culture backgrounds. Sammi will listen to your needs, provide you with professional help though the home buying and selling process and work very hard to get you the best results possible. Sammi loves working in real estate industry, it is not just occupation, it is passion to talk with, listen to and help people. It changes life and future. So if you are looking for a committed person, call Sammi for all your real estate needs. 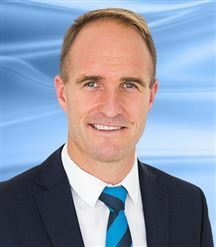 Albany Top National Lifestyle / Rural Office 2015 / 2016 Top 100 Harcourts Agent 2015 / 2016 Cooper and Co Number 18 Agent 2015 / 2016 Harcourts TOP 100 2014 / 2015 Cooper and Co Number 18 Agent 2014 / 2015 As a result of Simone's strong background in business management and being a business owner herself for 20 years in Munich, Germany along with years of experience in selling the finest homes and lifestyle properties, she is consistently sought out by Vendors representing a assortment of residential/lifestyle properties and by Purchasers seeking properties on the North Shore and Rodney areas. Her clients greatly appreciate her meticulous strategic marketing and unerringly accurate price appraisals. She is passionate, motivated and very down-to-earth coupled with very high energy and genuine respect for her clients. 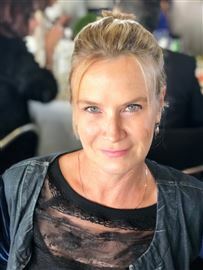 She has built a reputation for continually achieving exceptional results including record sales of some of the most substantial lifestyle properties and her dedication to serve the members of the Rodney and surrounding areas is fantastic. Born in South Africa and is fluent in German. What clients say: “We have dealt with Simone several times over the last few years and have always been very pleased with the professional service she has provided. We have been both vendors and purchasers so have experienced both sides of the process with her” Fraser & Emma “Now that we are the proud owners of our sensational beach front property, we thought it would be appropriate to write and thank you for guiding us in search for a new home prior to our arrival in New Zealand. You took us under your wing before our arrival here. In a very professional manner you presented a great number of properties on the three short visits we made here. You put in a tremendous amount of work, time and effort in researching and preparing the properties for viewing and you gave us a good insight into the various areas that you thought would suit us. Despite some setbacks and disappointments you were not deterred and strangely enough we eventually settled on the very first property you showed us. Simone, you “went the extra mile” and we really appreciate this. John and Kate Welch” Professionalism + Dedication = Record sales. Ambitious, articulate and highly motivated, Sydnee Wallace represents a new brand of real estate agent, young, technically proficient and client focused. She has the ability to empathise and most importantly listen to what her clients are saying. Selling a house for most people is not an everyday exercise and whilst mostly it is a great day, for some it can be incredibly stressful. Sydnee understands this and prides herself on her ability to minimise the stress at the same time exceeding customer expectations. Studying psychology and completing her degree at Massey university gave Sydnee a great insight to better understanding people but it was the challenge of setting up her own business at the age of 21, Snap Away, a photo booth business servicing weddings, birthdays and corporate events nationwide which taught her about perseverance, patience, self-belief, negotiation. 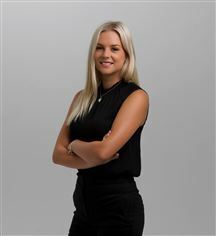 Sydnee works with Harcourts Cooper and Co based on Auckland’s North Shore. Harcourts Cooper and Co is Harcourt’s largest and number one business internationally in the Harcourt’s group. If you are looking for a fresh approach to real estate Sydnee would welcome your call-in confidence to discuss your real estate needs and requirements. Coming from a background in Administration and Human Resources with an interest in her husbands business in Project Management and Property development has provided Tracey a basis to incorporate her genuine interest in people, a desire to provide great service to people she encounters, an ongoing love of homes-therfore making real estate an easy choice and natural progression for her. 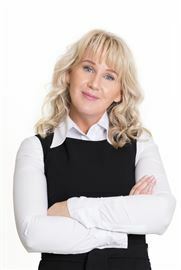 She is equally at home with residential property, or lifestyle properties and has experience in both.Tracey has ranked in the top ten in the Company. Combining her interests, her enjoyment of people from all walks of life, her desire to find the right home for the right people, and providing good service to all she encounters is what drives her. Vendors and Buyers alike will speak of her honesty, her integrity, her easy manner and good old fashioned work ethic, comments from people have been how professional yet still approachable she is and that she has kept them well informed every step of the way when dealing with her. Erin is back in Auckland after 10yrs in the Bay of Plenty - currently residing on the Hibiscus Coast with her Husband, children and 2 dogs enjoying the many beaches the coast has to offer. Erin comes from an extensive travel sales and management background and is looking forward to joining Gary and Lucy in growing Team Douglas and being part of the team. 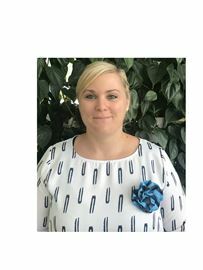 Laura has come from various corporate office roles and administration backgrounds over the last 10 years and is excited to learn more about the realestate industry with Harcourts Cooper & Co.
Steph has worked in the Browns Bay office for the past year and a half. She loves a bit of banter and a good latte sachet. 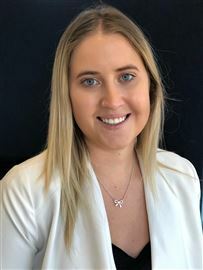 Coming from an OA position at a boutique Real Estate company, Zaia is excited to move over to be PA to Simone du Bernard and experience a Global Company such as Harcourts. Be the first in!! Safe $$$! Picture Perfect in The Oaks! Great Price on a quiet street! Owner says sell! Be quick!! All Dressed and Must Go!